Stoa of Zeus Eleutherios. 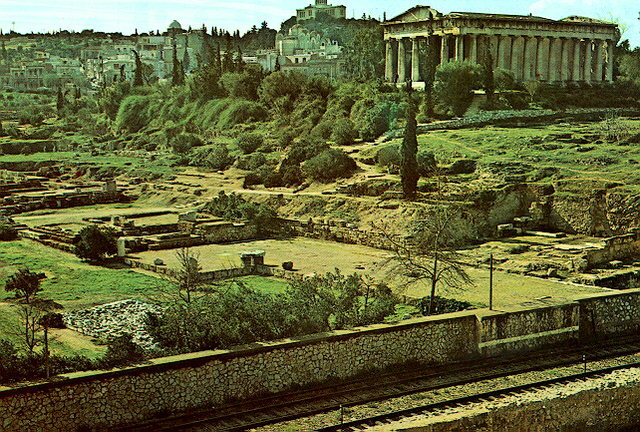 The stoa was erected at the end of the 5th century B.C. in honor of those who fought for the freedom and security of the city. Socrates is said to have met his friends in this stoa.